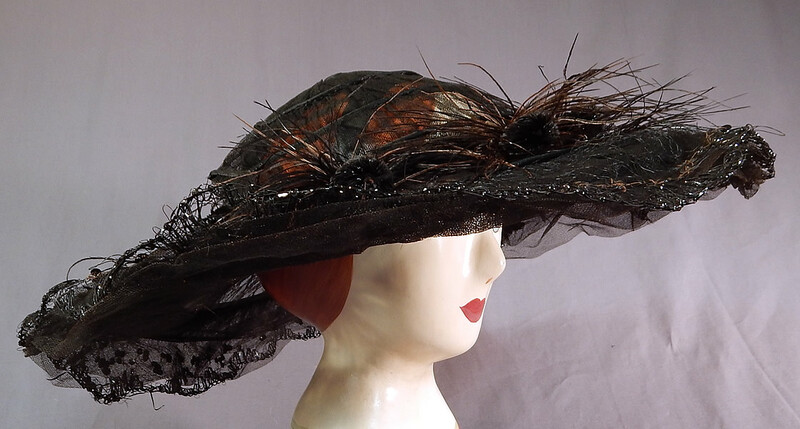 This antique Edwardian era black tulle net sequin feather trim large wired wide brim hat dates from 1915. 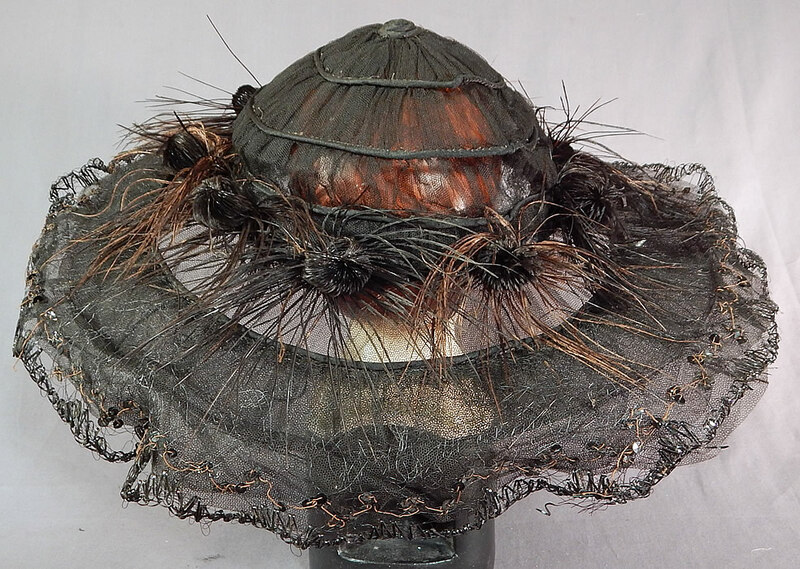 It is made of a black sheer tulle net fabric covering a wired brim with black straw stitching edging. 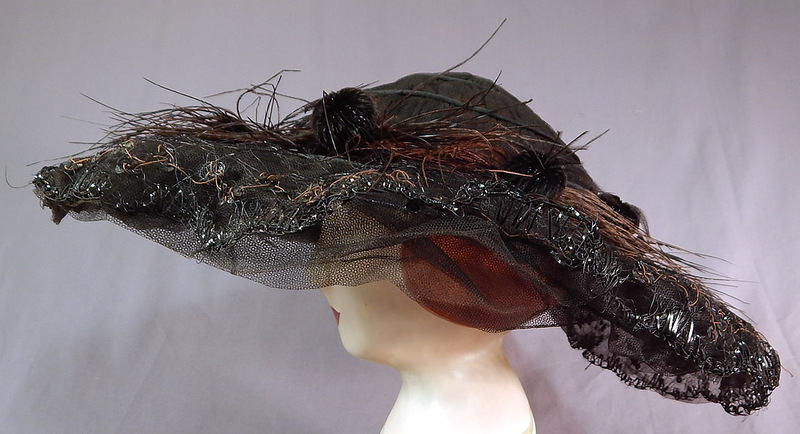 There are black feather pom pom trim accents surrounding the crown and black sequins stitched around the layered scalloped ruffle edge brim. 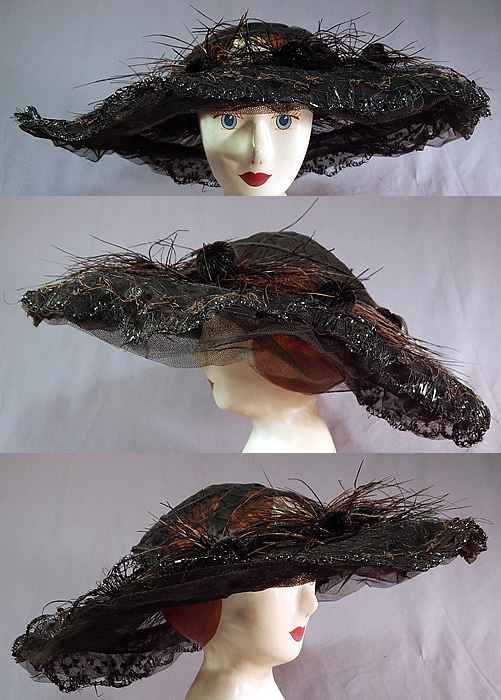 This beautiful black hat has a large flat style with a circular wide wavy brim and a low round crown. 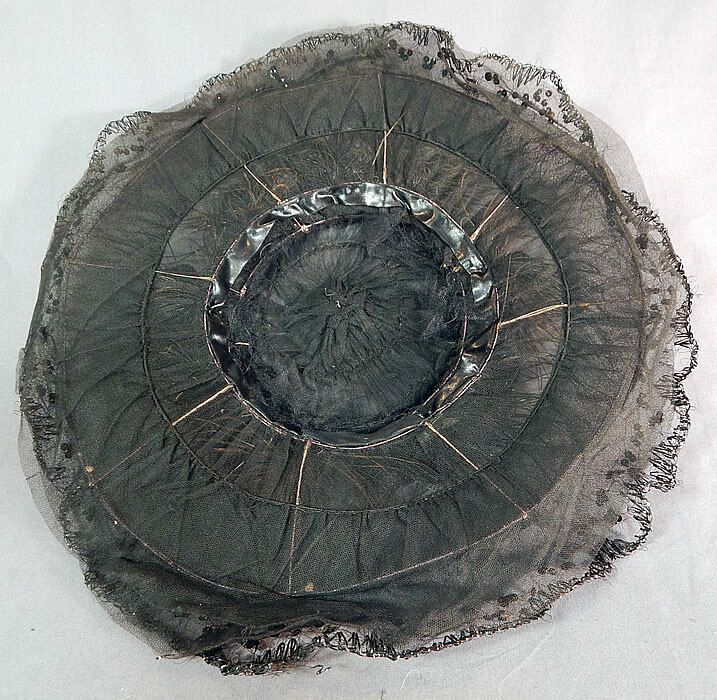 The hat measures 19 inches wide across the brim, 56 inches in circumference on the outside and has a 22 inch inside crown circumference. 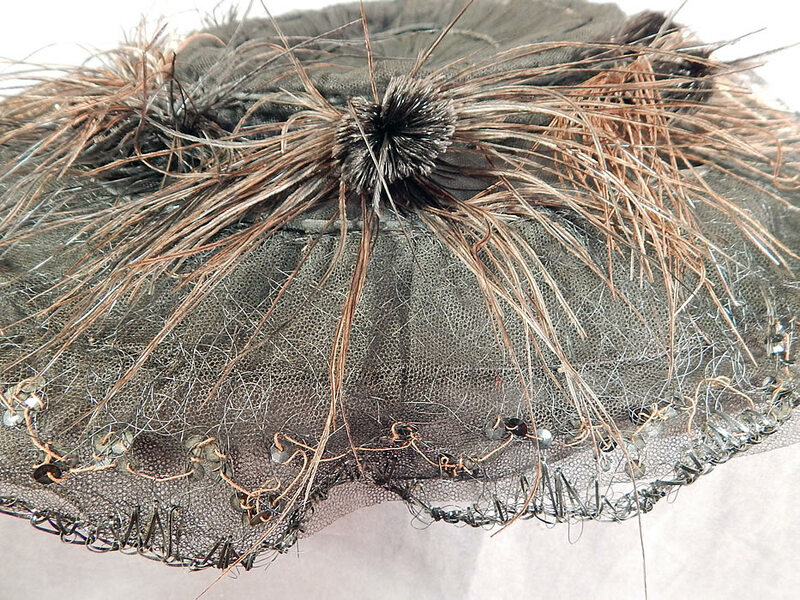 It is in good as-is condition, with some fade discoloration on the feathers, some loose feather trim and slight fraying along the brim edging in areas (see close-ups). This is truly a wonderful piece of millinery wearable art! Buyer pays $13.00 shipping and insurance, USA orders.